Painting zombies once again has been this weeks task here at the bunker. Hey, it's not called Bob's Zombie Apocalypse for nothing. As Zedvember draws to it's mid point the zombie count increases steadily, which is exactly the point of this bit of tomfoolery. Well, for me it is! The things we do for a little motivation. The cultural mission also continues! More art from the extremely talented chap stayinwonderland. This fine piece of work is entitled Infected - Zombie RPG artwork # 1. He's a great artist but his titles need a little work. Enjoy! Managed to crank out five of the little motherlovers this week, a small step back to my initial levels of production. A very small step! Someone far wiser than me once said something about every journey starting with but a single step. I'll take this as a win, the very reason this whole Zedvember thing started. Looking back over Zombtober's posts, it suddenly dawned on me! I had been so focused on getting zombies painted, I'd completely forgotten to name them! D'oh, what a twunt! I'll be rectifing that this post. So without further ado, (little drumroll) on with the show. All of these zombies came in the various seasons of Zombicide. The other thing they have in common is that they are all missing at least part of one arm. My first clumsy step into converting these excellent sculpts. From left to right, as was usual before the break. First up this time is a Season 2 walker, a besuited gent by the name of Gwydion. He was in local government middle management when things turn bad. Next is another Season 2 walker, you've just gotta respect his hair game. The Mohawked Merfyn! An estate kid and local gang member, probably out on the streets when the first attacks started. Moving along we have a Season3 VIP. Very Infected Person. A doctor, very obviously a front line casualty when the dead started reanimating. She's called Doctor Sioned Jones. Fourth in line we have yet another Season 2 walker. Rhydian was an inmate of the state until quite late into the outbreak. Finally for this time is a Season 1 walker. Iestyn must be a pikey! I've never seen anyone else wear a vest with shoes. Not having a permanent home was not a way to survive, it seems. DON'T WORRY THEY'RE 'ARMLESS REALLY! Some of the conversions were more successful than others. Pretty pleased overall, besides they'll get lost in the horde. Well it seems that even with the incentive of Zedvember, I couldn 't bring this in on time. It's my first Zedvember, what can I say. Slacker! Anyway back to the NFL. Arizona v's Seattle! Short and sweet this time! Before I go, I want to extend some best wishes to fellow blogger and honourary Dude, Vampifan. He's had to go offline to visit hospital. Take her easy Bryan! We'll still be here when you get back. I guess that's it, for this time dudes and dudettes. 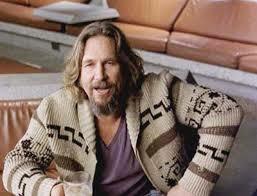 So until next time, try and follow in the DUDE'S footsteps and "Take it easy". "DON'T WORRY THEY'RE 'ARMLESS REALLY!" Great caption, hands down. Simple but very effective conversions. Nicely done. Amputee humour is almost as funny as cannibal humour. Had to do something they were all getting a bit samey! Great stuff Bob, and nice to see the paint machine starting to crank back into gear ;-) Some very nice conversions and plenty of gore to boot!! It needs more lubrication yet, before it gets anywhere! You know I love my gore dude. Loving the blood trails. They look great. Gives them a little sense of movement too. Excellent work Bob, good conversion work! That's some seriously high praise dude! Looking good, paint jobs and conversion work. Yes, the winter solstice approaches. I'm sure I'll think of something! Brilliant. Especially the blood smears! More high praise dude! Thank you. I do like a bit of gore! Awesome Additions Bob. Really been enjoying the artwork you post keep up the good work dude! Glad you like the art dude! I shall endeavour to keep on!! Great fun and great results, well done Bob. Love the artwork and the minis dude! Glad you like 'em dude! My son liked the blood effects. Little blighter looking over my shoulder! Nothing like a little bit of Welsh mind! 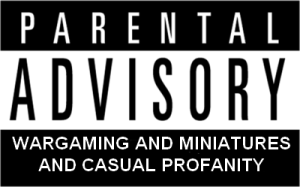 I do carry a parental advisory dude, for just these matters. I really do think you're getting better with each batch you produce Bob and you're certainly developing a distinctive style now too. Have you now settled on a skintone for your zeds that you're sticking too ? The headline art is very atmospheric and could equally be at home with a PA tag. Kind words and high praise in equal measure! Rather than paint them all the same colour, I'm using three main colours. Necrotic Flesh, Zombie Skin and a three layered grey. It'll do for now, until I get bored with it at least. I like stayinwonderland's style and it could definitely carry off a PA tag. Great work on all of them, Bob. Cutting off limbs is the easiest way to convert a zombie and is very effective. Many thanks for the kind words and as you can see, I'm back. They do get a little samey after a while and need something done to them. Glad to see your back in action Dude! I'm sure when they were alive, they all loved their mothers! Lovely work Bob! I ran out modern zeds (still have survivors to finish) and then got distracted by building Orks for Gorkamorka! Keep up the great work! Puns and painting! I've got loads of modern zombies left to paint! It was too good an oppurtunity to miss out on another month of painting zeds. 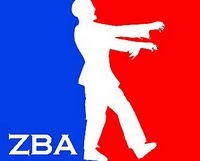 Welcome to BZA!